I thought I would share with you a plaque that I have made. 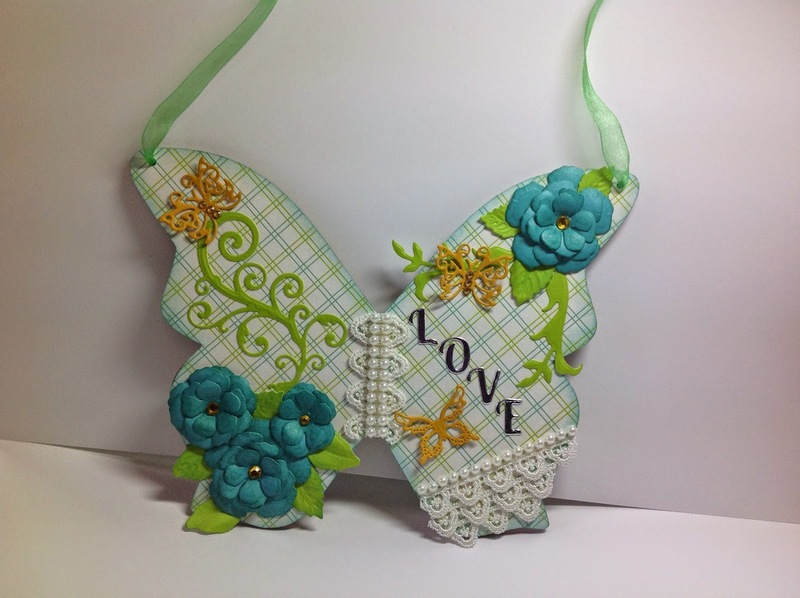 The idea started when I attended a class at Christine Embersons shop - Hope & Chances Creativity - which is in Gravesend. 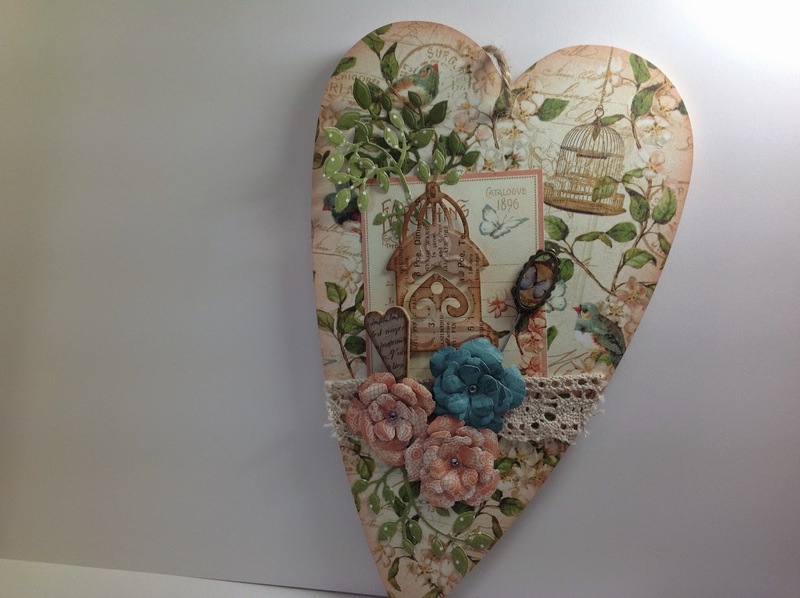 We decorated a heart shape plaque, this was how my one came out. I was pleased with the result and so thought I would try to decorated another shape. 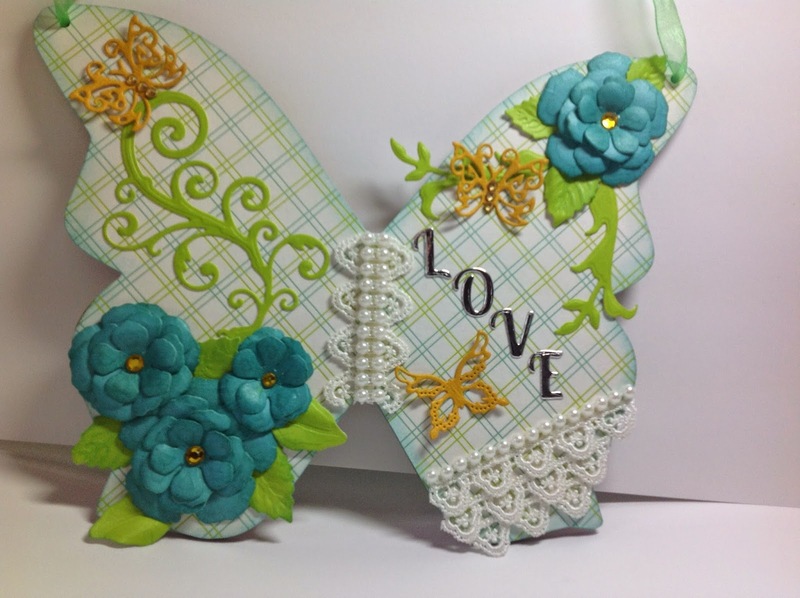 My friend Janice had bought some wooden butterfly plaques from Anna Marie Designs, you get three sizes, I picked the middle size one (6" x 83/4") to decorate. Paper - DCWV Paper pad - The letterpress stack. Adhesives:- Rangers:- Glue 'n' seal and Cosmic Shimmer, acrylic glue. I used the wooden plaque to draw around the shape on the paper and cut out, I coated the wooden shape with the glue 'n' seal to adhere the base paper to the board, I then put this to one side to dry. I then cut out the flowers, leaves, butterflies and flourishes, I inked the edges of the flowers and leaves with distress ink, then curled the flowers into shape before layering them up to the size I wanted. I then sanded the edge of the butterfly (with the emery board) using a downward motion, this gives the edge a very neat finish. 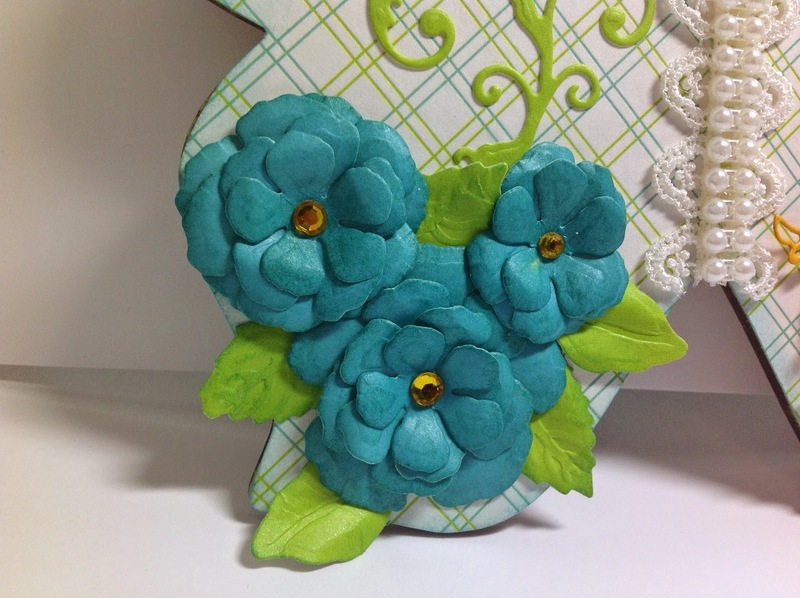 Once I had been all around the edge, I used distress ink around the edge to soften the look of the edge. I then glued the flowers, flourishes, little butterflies, lace and gems into place and tied the ribbon to hang the plaque. I'm quite pleased with the end result.